Well Testing CT for FHA Mortgages, VA Mortgages, Conventional Mortgages, FHA Refinances, VA Refinances and Conventional Mortgage Refinances. We test water flow and pressure from the well by attaching gauges to an outside water faucet and monitoring flow (gallons per minute). Some fluctuation in flow and pressure is normal, but a well should be able to deliver a flow of at least 3 gallons per minute to be adequate. 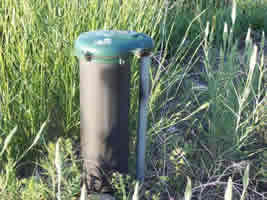 Newer wells should have an even higher flow rate. Well flow tests are performed under the conditions that exist at the time of the inspection. Flow rates may fluctuate over time and your actual flow rate will vary, dependent on seasonal variations and demand on the aquifer supply. Permanent changes in your water supply can be caused by seismic activity, blasting in the area or increased wells drawing from the same aquifer. We are happy to answer any questions you may have. Schedule your well flow test today! For an immediate quote call us at 888-558-1574.